Cliff, Superfan! begins its US festival run with a premiere at the San Diego Asian Film Festival on November 10! Director Diane Quon was in attendance for a Q&A session before an enthusiastic audience of over 100. 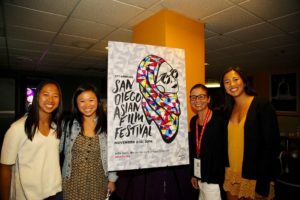 Thanks to the SDAFF for a great fest!